Big city life – there’s simply nothing like it! Between the hustle and bustle to the personalities that fill the room, museums of some sort or other around each turn, and enough live entertainment to submerse yourself in a different type of extrasensory experience every single night; one can lose and discover themselves, often multiple times in a day. Moving to Los Angeles a decade ago, I was immediately enamored with the neon lights and vibrant personalities. And now, moving up to Seattle, I’ve reawakened the wanderlust spirit inside me, and she’s been hungry for adventure. 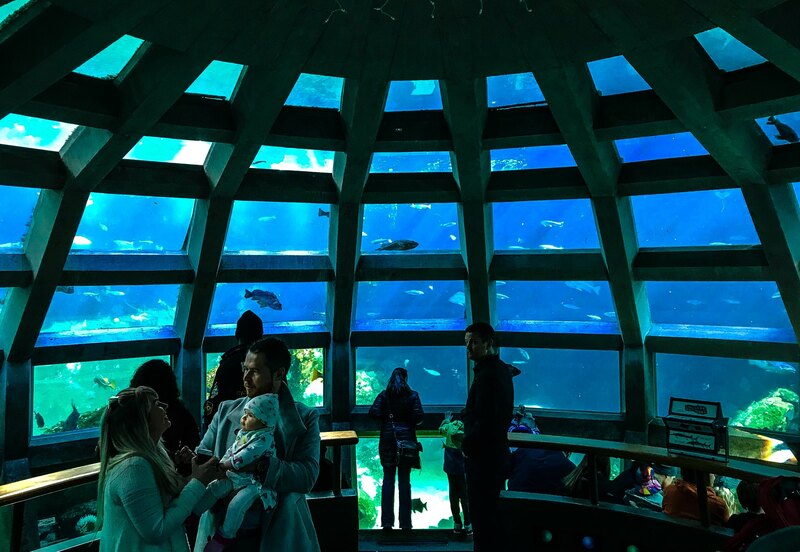 For as many museums, art galleries, botanical gardens, parks and music venues that Los Angeles has to offer – the one thing I always wished was a mere stones throw away: an aquarium. Well, low and behold – Seattle has an incredible one and I literally jumped at my chance to go as fast as I could. From the second you enter the Aquarium, you’re greeted with an expansive view thanks to the ‘Window on Washington Waters’. Boasting a 120,000 gallon tank, the Window encompasses the entire 20′ by 40′ wall and includes over 800 different types of fish, and ecological features created to replicate the seascape around Neah Bay, which sits directly across from the US-Canadian border of British Columbia in Northern Washington. 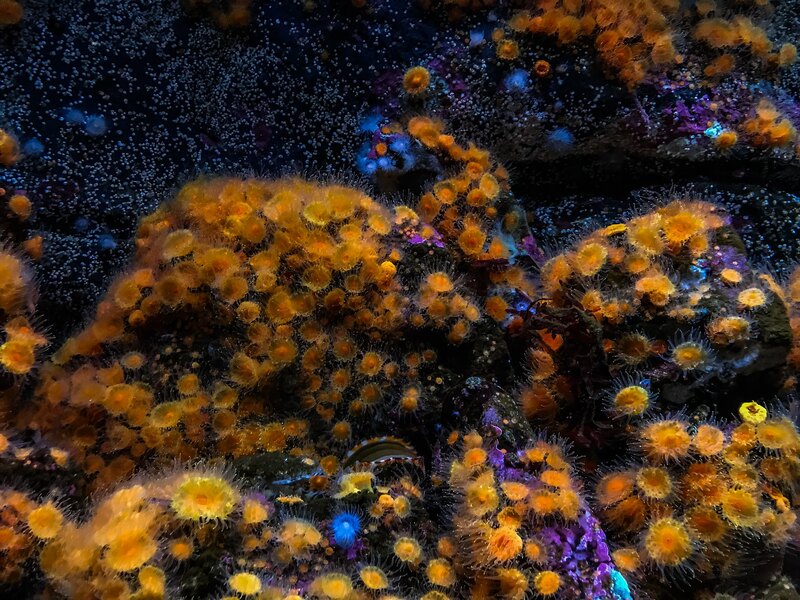 As you wind your way around the corridors, you’re greeted with touch tide pools galore and exquisite views of Moon Jellies glowing under a color-changing black light. And then, a coup de grâce of the waters – the Giant Pacific Octopus. 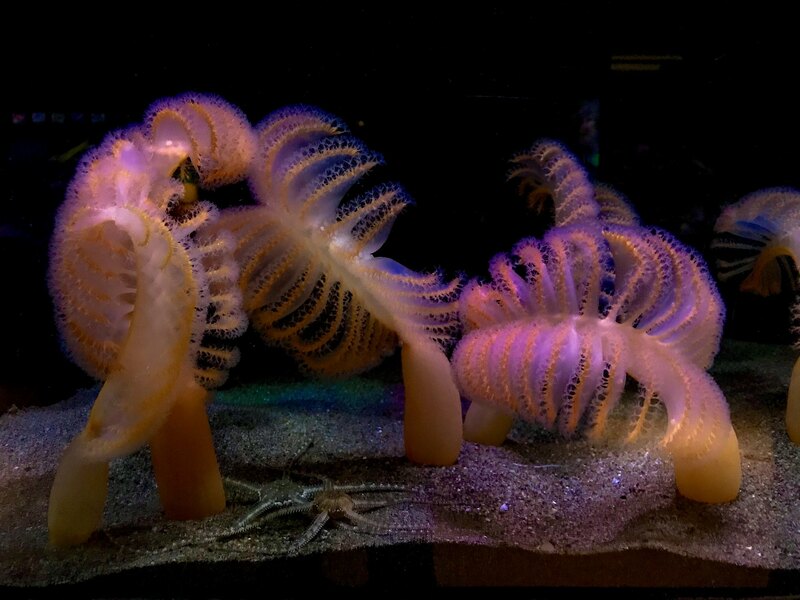 Clocking in around 150 lbs with a tentacles that span over 20′, they can change color and texture in a heartbeat; along with having eight arms that can act independently of each other and the main brain these blue blooded beauties have nine brains and three hearts. 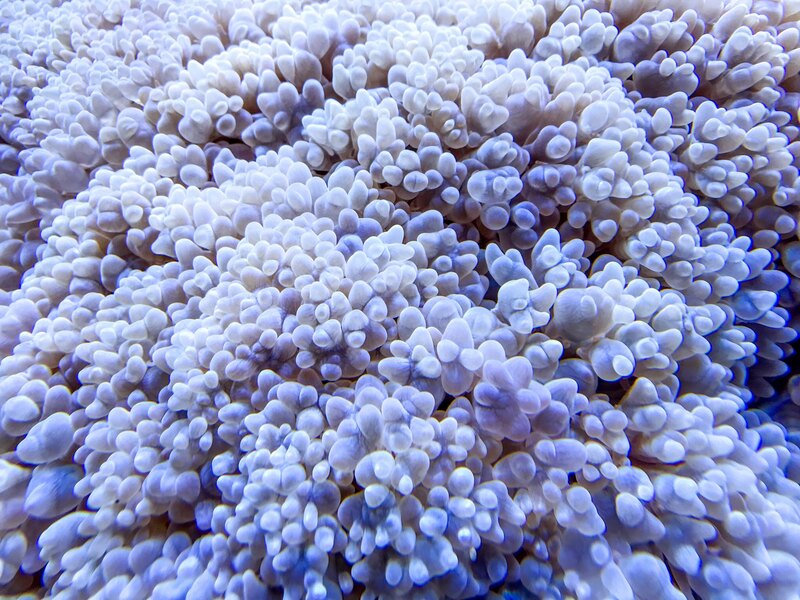 Last but not least for the main hall, you’ll reach the Pacific Coral Reef and Tropical Pacific viewing stations with an array of luminescent biodiversity, including varieties of fluorescent coral and fish with vivid colors to match! As you exit the double doors and head outside towards the pier and a stellar view of Elliot Bay, Puget Sound and the mountains of Olympic National Park, you’ll be greeted another one of my favorite exhibits, that I unfortunately for you but great for me spent too much time enjoying to take photos of, the marine mammals! Featuring a full menagerie of river otters, sea otters, harbor seals and northern fur seals – come on and get your fill of adorable animals dashing and diving through the water from the outside – and then shimmy your way indoors for an underwater view; and, a visit to the fabled underwater dome, boasting an inspired 360º view of Puget Sound marine life in a 400,000 gallon tank. One of my favorite things about the Seattle Aquarium – how incredibly knowledgeable and helpful every single docent and volunteer was! There’s nearly no signage throughout the venue, which means interaction (or, improvisation!) is necessary to figure out how to get around, or simply what gorgeous creatures you were spying on. 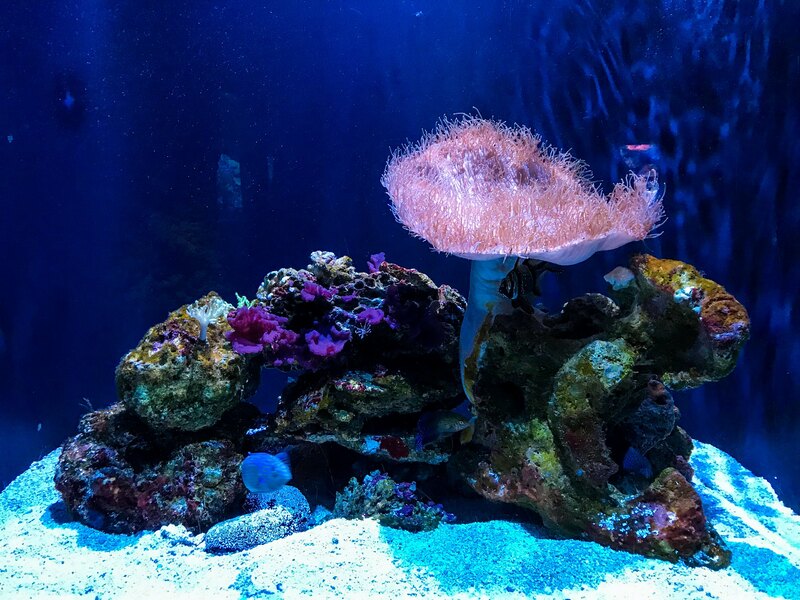 If you’re not on the spontaneous side and are planning your visit to the aquarium, snag your tickets online and save yourself a little bit of money. Or if you’re ocean obsessed like me and already have the intention of returning – make sure you get a year long pass; it can pay for itself in two visits – and it comes with a ton of snazzy perks, like early admission, special members only (read: 21+) nights, and discounts in the gift shop as well as the restaurant. 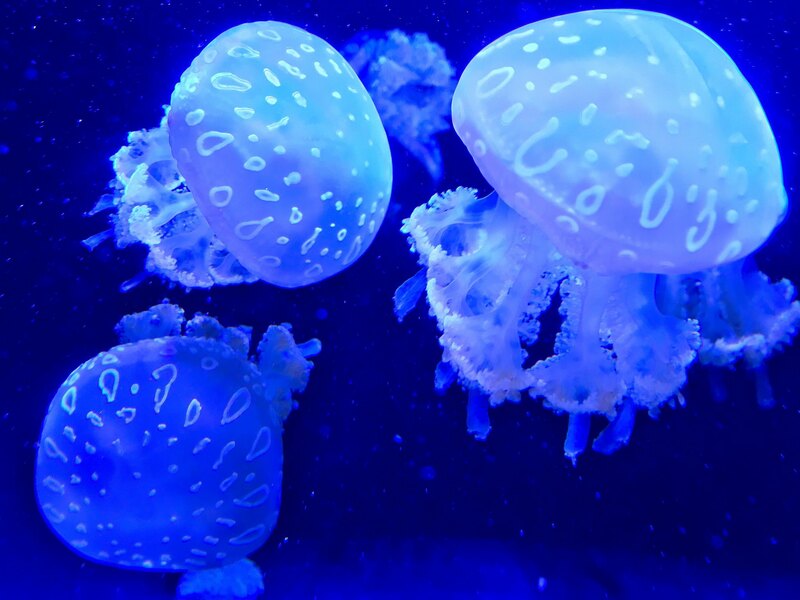 Open daily from 9:30 to 5pm, there are plenty of exhibits to get lost in and plenty of sea creatures to discover. Whether it’s for an afternoon outing, or an all day adventure – the Seattle Aquarium is a perfect way to spend some time under the sea. 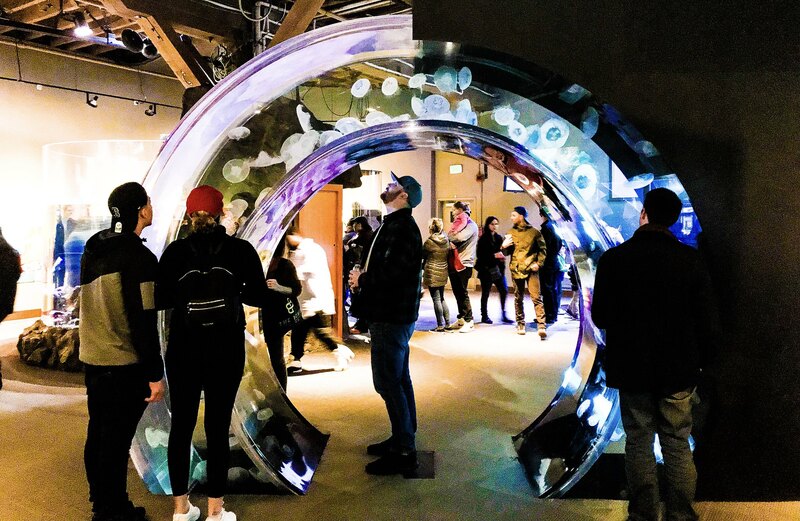 For more on the Seattle Aquarium and their humanitarian ecological efforts, head to their social media channels; or just dive on in for an afternoon under the sea!